I believe God holds me personally accountable for my actions – it is an issue of “responsibility” and “integrity,” neither popular in today’s society. I believe it is my responsibility to exercise the gifts He has given me, it is my responsibility to openly share my faith, it is my responsibility to live of life of integrity, and it is my responsibility to reach out and help others in a practical way. When I first heard Zig Ziglar, I was immediately impressed by his gift of encouragement, his authenticity in sharing his faith in the Lord Jesus Christ, and his message of “responsibility.” Here was a man who articulated my vision and inspired me to reach higher and reawakened in me the dreams and goals that had been knocked down by life. Like many people, I really didn’t adequately understand the network marketing industry and like many people had some pretty negative misconceptions about it. Through my activity with the Zig Ziglar Network and mentoring by Zig Ziglar, I was to re-learn what Network Marketing was really about – people. I was meeting some of the most incredible people and traveling quite a bit. I even enjoyed an all-expense-paid trip to Cancun Mexico where I spent some quality time with Zig and his family. I began to better understand network marketing as the business model that would eventually set me free – financially. It was a business model that most closely fit what the Bible teaches and was in fact, the model Christ used to build His Church. Christ began with 12 disciples whom He taught, eleven of which in turn went out and shared what they learned. Today, there exists what I would descirbe as the largest network ever developed called Christianity. And it all began with ONE man who shared with another, who shared with another, and so forth. Because of the Internet and affiliate programs, network marketing is getting a face lift and becoming a 21st. century force in the marketplace. Network Marketing was beginning to get VERY sophisticated and was going through a total revolution. Systems and automation, focused on creating streamlined sales processes are freeing up distributors time and making it easier for the average distributor to have success because prospects recognize they too can easily duplicate the business building process. Prior to the Internet, network marketing had 3 fatal flaws: Duplication, Training and Communications. Because of the inherent strengths of the Internet all 3 of the these fatal flaws can not only be eliminated but turned into the strongest points of your organization when you begin to learn how to apply systems and technology. In September 2000, I became a Founding Affiliate with ZigOnline, an online business that combined the best of both affiliate programs and network marketing. The product was a life changing product helping people overcome their challenges through personal growth and becoming better people in the process – thus making a positive difference in the world. One particlar feature I especially liked about ZigOnline was that it was a “virtual” product – a subscription service to a cutting edge indexed audio library of Zig Ziglar’s material and other personal growth training material. You could sign up right online and within minutes be building a global business from the comfort of your home using only your computer and telephone. 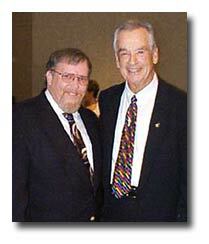 It was a simple business of exposing the opportunity to others, educating them about how it can benefit their lives, directing them to a website, and let the positive message of Zig Ziglar do the selling. It certainly was NOT a business of “convincing” others. I’ve discovered that if you need to convince someone about a life changing opportunity, you’ll also need to convince them to work the opportunity, and will have to continually convince them every step along the way. 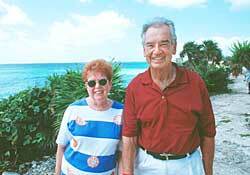 People who need that kind of convincing simply do not want to change and change is what Zig Ziglar is all about. The people who will do well in this industry are people who WANT change. Using nearly total automation on the Internet, within a few short months I built a pretty good sized international business with subscribers from South Africa, Indonesia, Australia, Canada, England, and all across America.